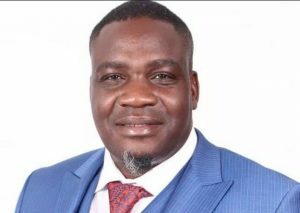 The MDC is shocked by the revelation of a baseless ban on Hon Charlton Hwende who intended to visit the Mabvuku fuel reserve Depot as part of his parliamentary duties. Hon Hwende is a full member of the portfolio committee on energy and power development and has an obligation to fulfill the oversight and representational roles around the sector. Barring his attendance is a serious disservice on the part of citizens and his constituency. We sense a naive view which ends with an attempt to fix Hwende the person or MDC the political party. The roles and interests he serves are beyond the two. There is public expectation in respect of which their elected representatives must serve their interests. We have however expressed executive overreach in which state apparatus are used to coerce or arm twist both the Judiciary in the quest to fulfill their mandates. In respect of this issue, the Government Protection and Security Inspectorate is obstructing the role of an arm of the State when it must be facilitating. We are however aware of a systematic attempt to annihilate the MDC caucus. media when part of their job is to communicate with the people and gather their views.All these Acts are condemned with the contempt they deserve – they are retrogressive and breed unnecessary aggression in society.